Over the past year, we’ve introduced to you a diverse set of outstanding athletes who have been named CLIF Bar Athletes of the Month. They’re all worthy in their own way, but only one man and one woman will be named the 2018 CLIF Bar Athlete of the Year. 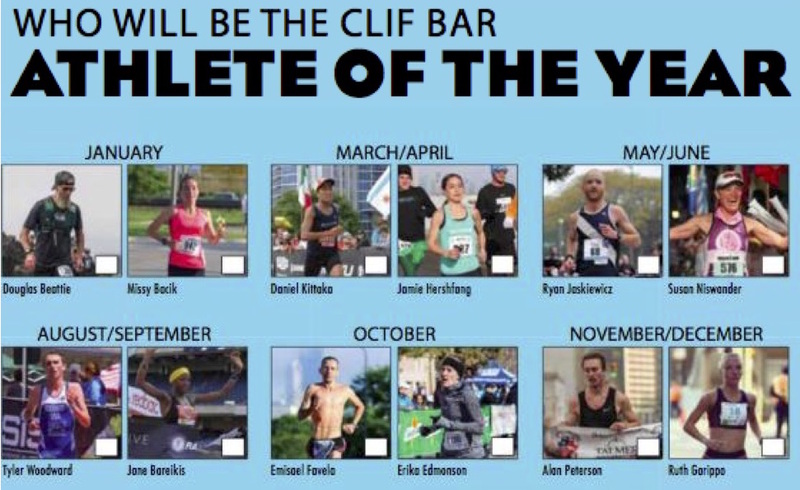 The CLIF Bar Athlete of the Year winners will recieve a fantastic CLIF Bar prize package. Voting closes February 1, and the announcement will be made in our March/April 2019 issue. Vote online now!